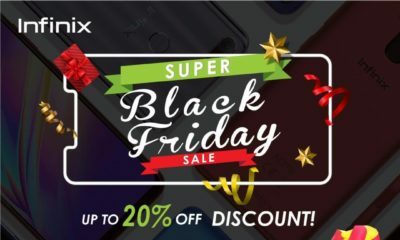 Infinix Mobility brings customers and fans the biggest sale this year, combining the Infinix SUPER Friday and Black Friday. 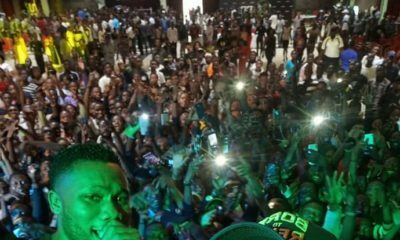 Infinix started the SUPER Friday promotion on Wednesday, November 1st, and has given out cash prizes along with huge discounts on specific smartphones every Friday in November. On Black Friday Infinix customers are guaranteed discount in-stores and also online on Jumia’s Black Friday. Infinix customers can win cash prizes when they purchase any Infinix smartphone at partner stores. Customers who purchase a smartphone worth N30,000 – N40,000 can only participate in the Money grab game (Once) while customers who purchase any Infinix device worth N40,000 or less can participate in the game (2x), customers who purchase an Infinix smartphone worth N50,000 or up to N70,000 can participate to win more cash up to 4 times.